Next up in my series of Q&As with the first wave of Apocalypse Weird authors is E. E. Giorgi, author of Immunity. Hi Elena, welcome to the site. Tell us a little bit about your Apocalypse Weird book, Immunity. 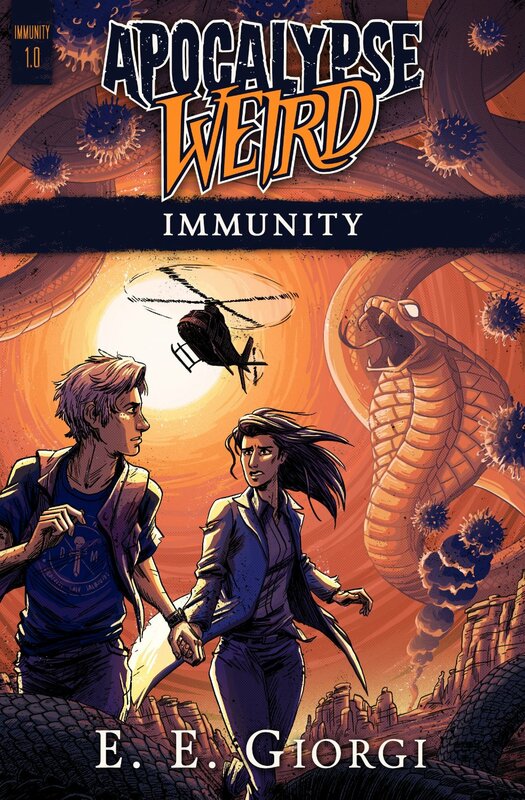 My book Immunity takes place in New Mexico and follows the stories of thrash metal lover and computer geek David Ashberg and career-driven scientist Anu Sharma as they fight an unprecedented viral outbreak. I set the story in New Mexico because I love the landscape and it’s quite easy to imagine a post-apocalyptic world out here in the high deserts. What can you tell us about your two main characters, Anu and David? The two are quite different, as David is mellow and good natured, whereas Anu is ambitious and very possessive of her data. 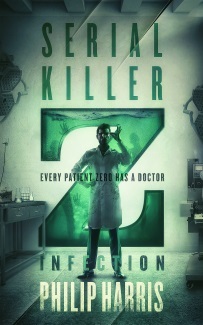 Circumstances will force them to come together against a common enemy that’s far more evil than the virus itself. Your background is as a scientist, how did that influence Immunity? As part of my day job I research viruses (HIV in particular), so I wanted to give my unique spin to the Apocalypse Weird world and describe the apocalypse from the point of view of scientists. We work day and night on finding new cures from deadly diseases, yet nature keeps baffling us. Mutated flu viruses and antibiotic resistant bacteria are a real threat. What is your favourite part of being involved in the Apocalypse Weird project? I love feeling part of a community (and it’s a great community! ): we root for one another, support one another, bounce ideas off one another. It’s truly fantastic and to be honest with you, I’ve never experienced this kind of camaraderie outside of the indie community. Viral outbreak meets zombie apocalypse. A big thank you to Elena for taking the time to answer my questions. Her Apocalypse Weird novel, Immunity, (and five other Apocalypse Weird novels) is available now on Amazon.